The Autodromo Hermanos Rodriguez has been a huge part of the Formula 1 makeup since 1962. Built in a public park, the first Mexican Grand Prix took place a year later. Since then, the track has gone through some major facelifts since its inception on the race calendar. Located over 2,200m above sea level, the race returned to the track last year for the first time since 1992. 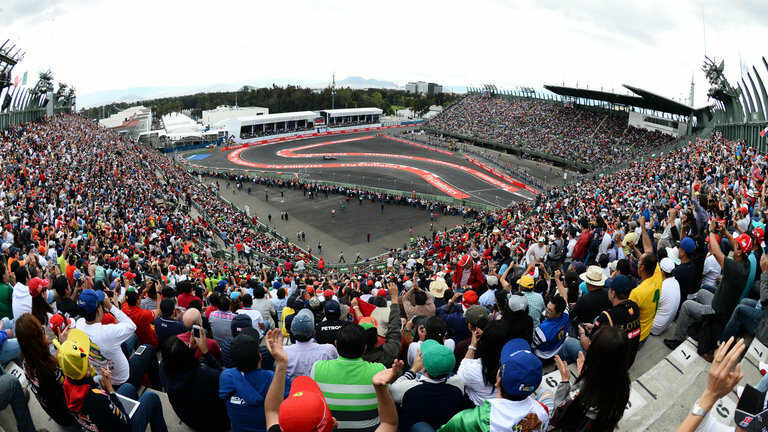 In 2016, Gran Premio de Mexico VIP gives you the chance to go to the heart of the action with all-inclusive hospitality access! an altitude of 2200m, the track in Mexico City is by far the highest on the calendar, and gives it an added uniqueness that is unmatched. The thinner air will reduce aerodynamic drag but will also compromise power as the engines struggle to breathe, so expect top speeds in the region of 220mph. The track runs clockwise with 17 corners, with the pit straight one of the longest in F1. The track, named after brothers Ricardo and Pedro Rodriguez, who were both killed in motor racing accidents: Ricardo in 1962, aged 20; Pedro died nine years later at the age of 31. This year like last, expect the home crowd to greet local hero with rapture. Sergio Perez, or “Checo” as he is known, is currently eighth in the drivers’ standings and of Mexico’s most famous sons. As well as a weekend of action-packed racing from October 28th, your visit will be centered around the time of Dia de Muertos, or the Day of the Dead. With the race taking place the day before Halloween this year, make your trip to Gran Premio de Mexico all-encompassing; explore the Mexican way and traditions! The Gran Premio de Mexico VIP access allows privileged viewing position of the race paired with all-inclusive hospitality access, the Formula One Paddock Club™ at the Autódromo Hermanos Rodríguez. Located within the track across from the Main Grandstand and above the Pit Lane, the Club Suite offers fine dining, premium drink options, entertainment, music, and unparalleled views of the circuit. You’ll take "VIP" to the next level with access to the Support Race Paddock, Pit Lane Walks and the F1™ Village. Luxurious accommodations in the area and ground transportation to the circuit are optional. From the unique tours of the team pit lane to witnessing interviews with drivers and team personnel over the race weekend, you will be as close as it gets! The Cub Suite offers interactive fine dining, entertainment, music and magnificent views of the circuit. Paired with multi-screen coverge of all the action on track, including the live timing screens used by the teams on their pit wall, the Paddock Club™ experience will keep you in the heart of the action at all times! With the Mexican Grand Prix, expect the unexpected – be there in October!